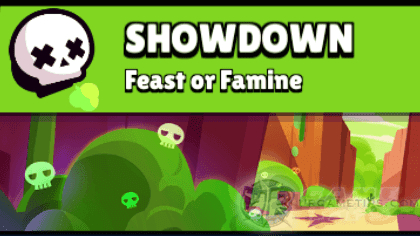 Here's some quick tips and guide on how to survive and win Brawl Star's Showdown event mode (Feast or Famine Map), in the fast-paced multiplayer online battle arena mobile game app for Android and iOS players. - Located near the center of the map which is a bit risky for slow and squishy Brawlers because some players would chase them right from the start, especially those with higher move speed, range, or Power Lvl. - So move as soon as the battle starts. - A lot of them can be found at the center, surrounded by bushes so expect a brawl right from the start. Usually, the one that breaks them first, would most likely get ambushed due to lower DPS (fired shots), so be careful if you want to enter this zone. - Not all brawlers will get the chance to break boxes safely, depending on where you will spawn. You might need to steal them from other players, go to the center area, or play it safe and hide right away. - Use those long bushes located at the bottom most areas to hide and escape if needed, especially when you spawned near the lower area. Quickly go down and break the skulls that are blocking the way, then run towards the bushes, you can also continue and go left until you reach the bottom left corner, much safer). - Yup, this map can be played by any Brawlers, preferably those that can do decent damages during bush fights to make things a bit easier. Playing certain Brawlers requires player skill since they have their own strengths and weaknesses, learn their advantages and avoid Brawlers that is weak against (including your current upgrades). - If you have patience, getting 10th, 9th, or even 8th isn't common here, unless unlucky and got chased early on. Another reason is because aggressive players will go to the center area right away to grab those Power Cubes, and would likely end up fighting each other or force someone to retreat with low HP. - TIP: If you find your matches somewhat toxic because of team-ups, or maybe most players are also camping - making it harder for you to farm trophies, try to play again after some time to reshuffle competing players. - Grab Power Cubes that you can then/or quickly find a place to hide. Survive until there are only around 6 left, then go a bit aggressive or continue hiding. - Once those clouds closes in (before it reaches those wide bushes), try not to stay at the sides of the available area because you'll get sandwiched pretty easily, and because your location is too close to the center, making you vulnerable from melee brawlers watching from the center. - For ranged Brawlers, spam your attacks from different directions to force those that are hiding inside to move, and hopefully encounter and fight other Brawlers. - You have 2 options, either run straight to the center or gather some Power Cubes first (depends on enemy movements and preference). - Be careful when breaking boxes here because it is most likely that you'll get ambushed if there are enemies nearby. Use manual aiming to avoid hitting boxes or random areas while you are inside those bushes. - Move outside if you are at a disadvantage or if all boxes are gone, your choice, try to ambush and defeat other Brawlers to build up your Power Cubes. - Control the center, and the game is yours. - For Shelly, charge up your Super quickly while or before going to the center, use your Super wisely when fighting inside bushes (spam tap/click Super button (Yellow) instead of Normal Attacks (Red) to quickly execute). - For Bo, use your Traps to protect your location, or to trap enemies that are about to enter the center bushes (best against squishy targets). - Examples: Colt, Brock, Barley, Dynamike, Piper, Tara, Leon, Spike, Crow, Gene, and similar Brawlers. - Getting to the center early on is very risky because these guys are squishy, so focus on setting up ambushes or traps to defeat other Brawlers for more Power Cubes. - For Brawlers having a nice move speed and range is even better here because you can escape from melee Brawlers or easily chase targets. - Playing range brawlers needs player skill to aim well and hit your attacks, practice first if you like. - Never use auto aim from a far location trying to attack a moving target, it will likely miss. Use manual aiming and adjust your target line to where they are going (also depends on bullet speed). - TIP: For Colt that can do multiple hits per attack, it is best to also match the movement of your target after firing an attack, this would help land all hits. - Use manual aiming when scouting bushes as well, and move while shooting to cover more space. Recommended for attacks that dishes multiple bullets like Colt. - For single bullet attacks, use fast multiple attacks to scout bushes thoroughly (ex: Brock). 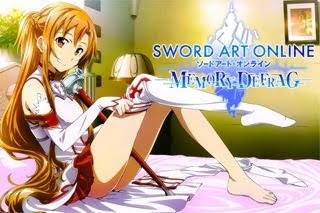 - Note that hiding enemies can dodge your attacks if they are predictable, attack the same spot if needed. - Auto-aim is good for those that are running away from you, they usually run in a straight line. Also use if they are near and have no time to aim, or if they are running towards you. - Grab Power Cubes that you can and try to charge up your Super early on. Don't harass them too much or they might chase you non-stop, unless you are confident that you can win against. - Avoid getting sandwiched or trapped, transfer quickly to a not so crowded area if needed. - Once those poisonous clouds closes in, and before entering the center area, spam your attacks from different directions to force those that are hiding inside to move, and hopefully encounter and fight other Brawlers. - Optional: You can also use your Super to clear some of those bushes (good for certain brawlers like Dynamike, Colt, Brock and more) to give you some more space or a hiding spot (isolate some bushes from the rest then hide there, so that melee Brawlers can't come near you easily). - Not effective against ranged though but attacking you would also reveal their position. - Life Leech event would stop all HP regeneration, and will take damage overtime instead (percentage of Max HP). - To regain some HP, you need to damage other brawlers, or at least take some Power Cubes. Defeating an enemy would also replenish your HP to max, so land your hits or hide really well. - This is really good for long ranged brawlers because they can easily harass their targets, just by landing 1 hit is already a problem for them here. - Brawlers that can heal especially Pam are also interesting to use here, even if their healing power for this event is reduced. - Overall, it's actually bad for Campers, because it would force other Brawlers to move and disrupt other Campers like you. Plus, it would also force strong enemies from the center to move outside giving you a hard time if you are unlucky.